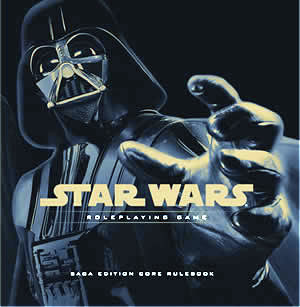 Last night on Geekerati Radio, our own Eric Lytle gave his first impressions of the Star Wars: Saga Edition RPG. He'll be giving a full review of the game next week. His first thoughts, like those of many people, were very positive. 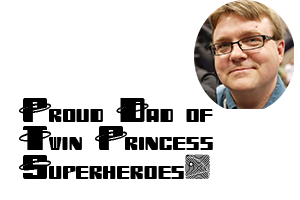 What Eric didn't get into, but what has been troubling a lot of potential Star Wars players, is the apparent lack of product support that Wizards has planned for the upcoming year. This is especially true when it comes to Gamemaster support, which is apparently completely lacking so far. Wizards has officially listed only one RPG product, other than the core rulebook, for all of 2007, which leaves the working GM worried. The vast majority of products for 2007 are all part of the very successful Star Wars miniatures line. ICv2 announced some good news for those working GMs today. It appears that Wizards will be providing RPGA adventures for fans to use in the upcoming Dawn of Defiance campaign. Let's keep our fingers crossed that this means more products for us to use in our campaigns.